Definition at line 43 of file mac/build/mpisearch.framework/Headers/mpisearch.h. Definition at line 52 of file mac/build/mpisearch.framework/Headers/mpisearch.h. Definition at line 54 of file mac/build/mpisearch.framework/Headers/mpisearch.h. Definition at line 45 of file mac/build/mpisearch.framework/Headers/mpisearch.h. Referenced by mixGauss::getMixProb(), and ProbColorSearch::logPrior(). 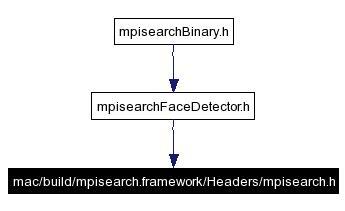 Definition at line 42 of file mac/build/mpisearch.framework/Headers/mpisearch.h. Referenced by ProbColorSearch::logPrior(), and MPISearchObjectDetector::setPixelMax(). Definition at line 51 of file mac/build/mpisearch.framework/Headers/mpisearch.h. Definition at line 56 of file mac/build/mpisearch.framework/Headers/mpisearch.h.